Thank you to everyone who helped make this happen! 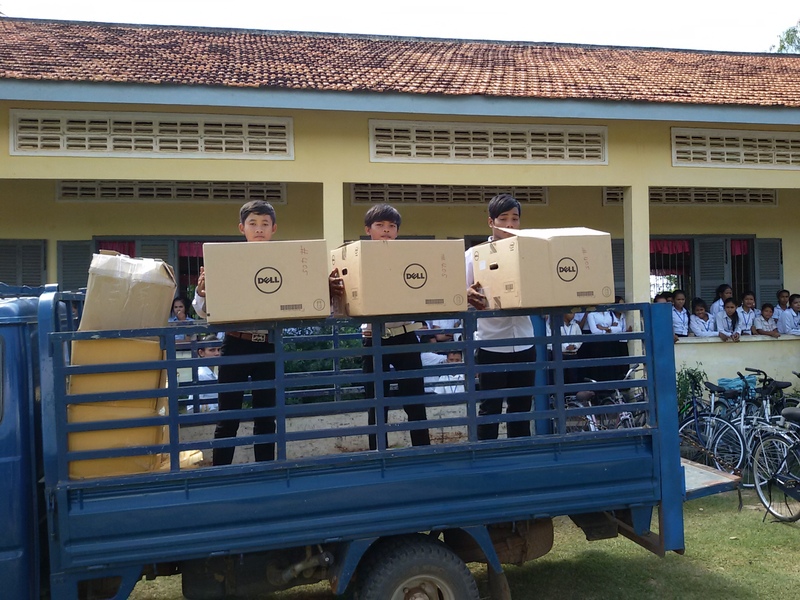 45 bikes for 2015 graduates, 3 desktop Dell computers, and school supplies for 167 incoming middle school students were delivered to our appreciative students and teachers. 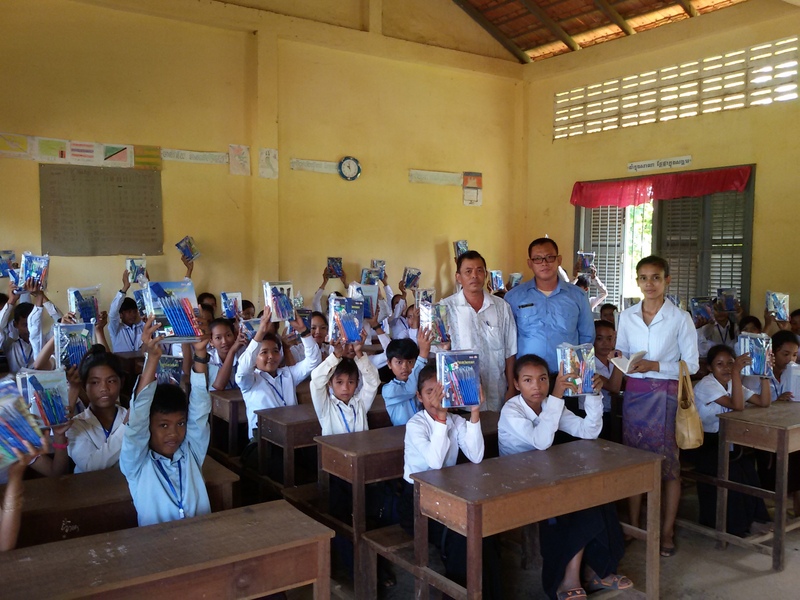 We have a new program to donate extensive school supplies throughout the year to encourage village students to attend school and stay in school. Economic hardship and food scarcity is endemic in our village and students are usually expected to provide their own school supplies. 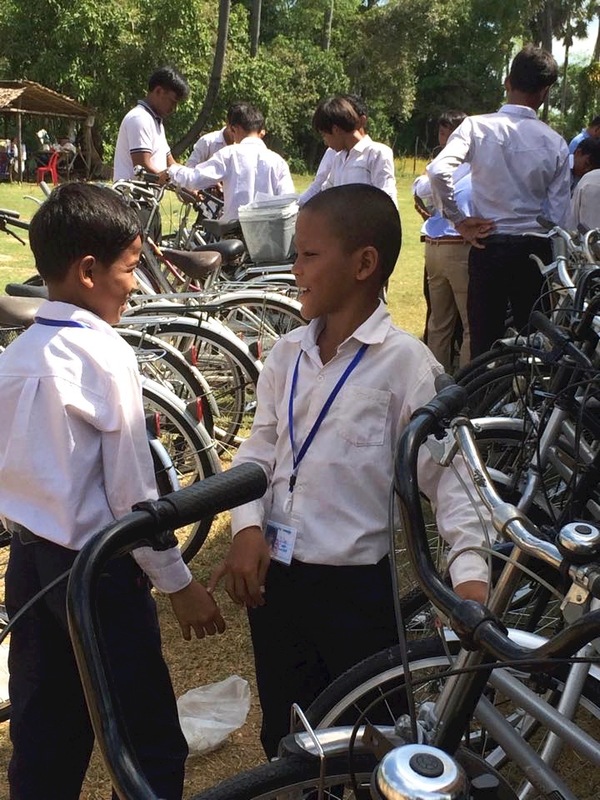 Read here about industrious students who rise before the sun to earn enough money to buy school supplies. 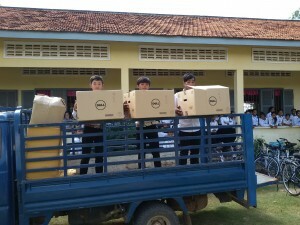 Our tech classroom now has 7 Dell desktop computers hooked up to the electric grid and 2 more powered by solar energy. 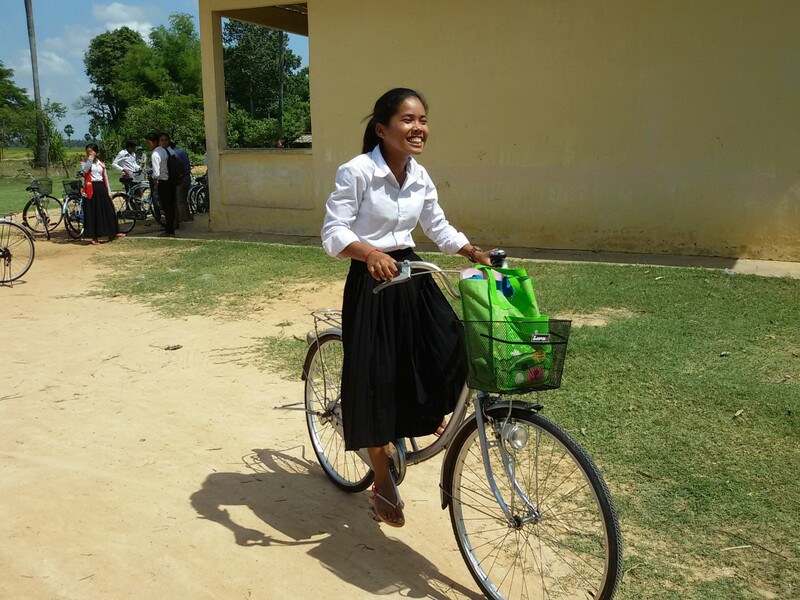 This is quite unusual for the rural area of Kampong Cham province. 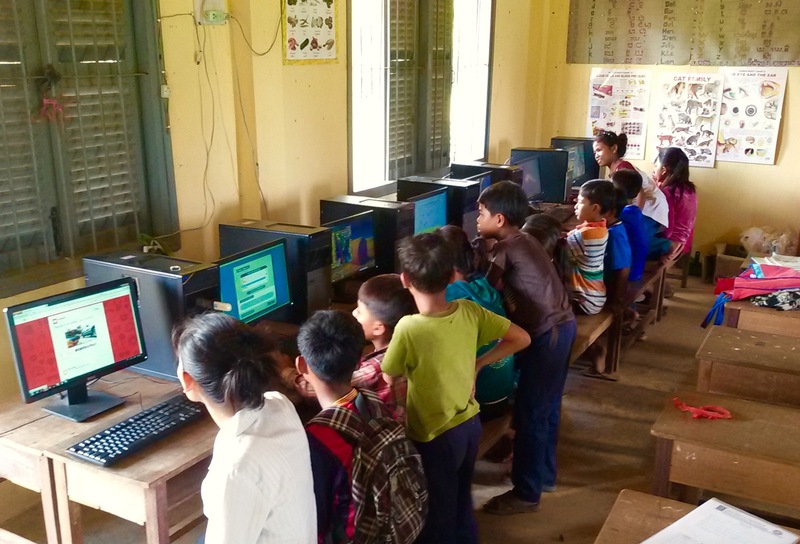 When our students graduate, they attend a high school that has no computers. If you would like to make a donation to help us expand our monthly access to the internet, please visit this page. 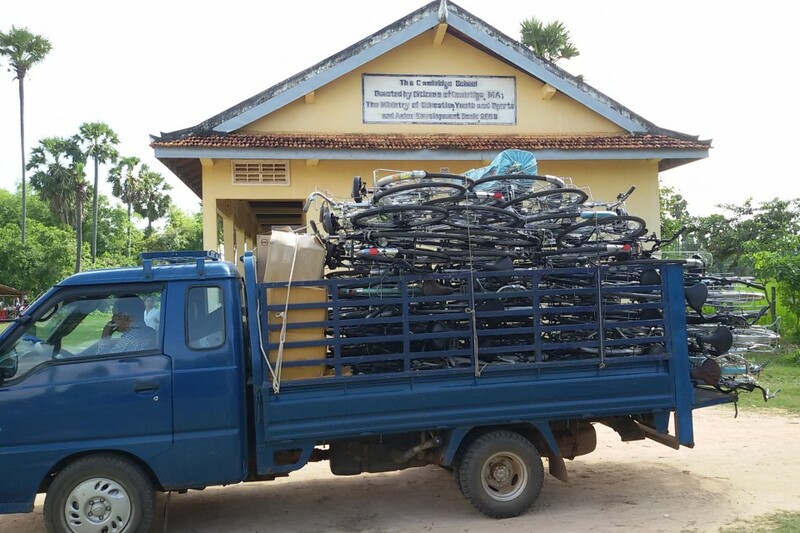 Two Cambridge teens, Andrew and Will Keating, were so inspired by their summer visit to our school that in a very short amount of time, they successfully fundraised to buy 45 bikes to donate to our 2015 graduates and all teachers. 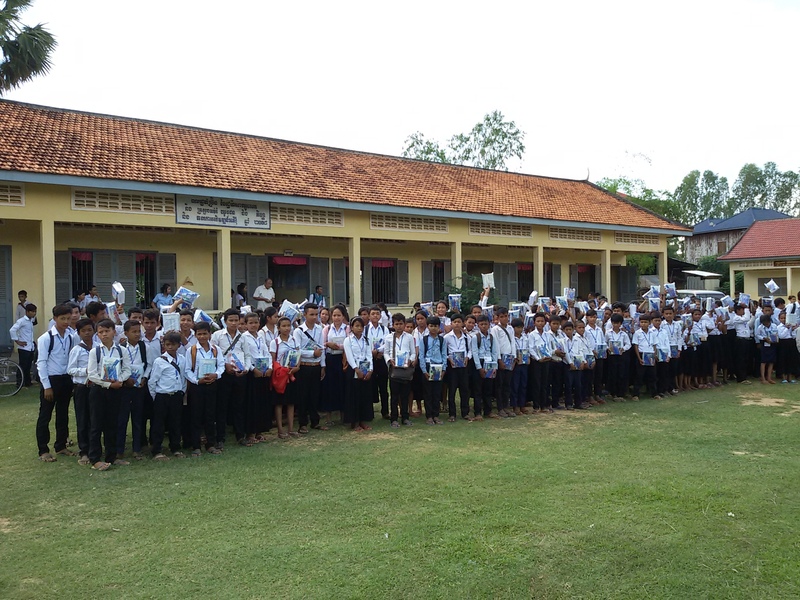 Most of our 9th grade graduates attend high school that is 5 miles from their village. Having a bike makes that commute far more doable, especially in the extreme heat. Thank you, Andrew and Will! 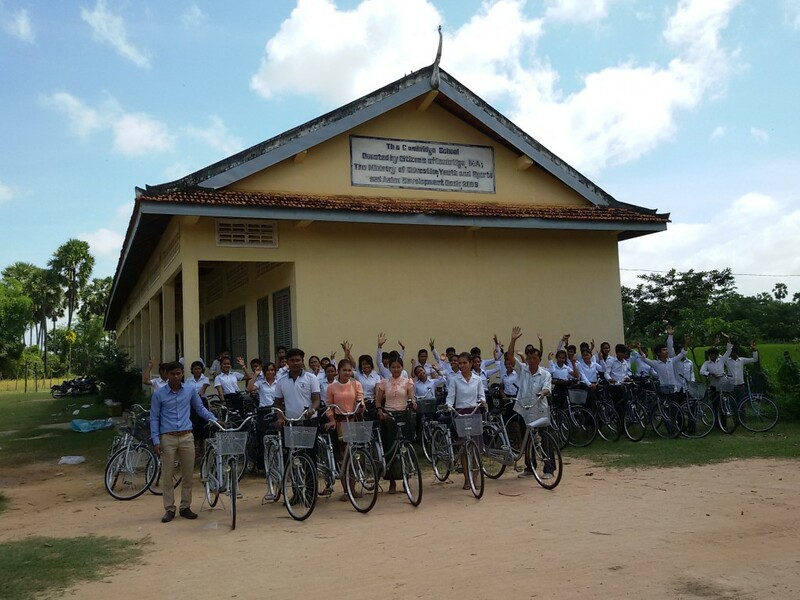 To help us support their fundraising efforts to buy bikes for all 2016 graduates, please click here. 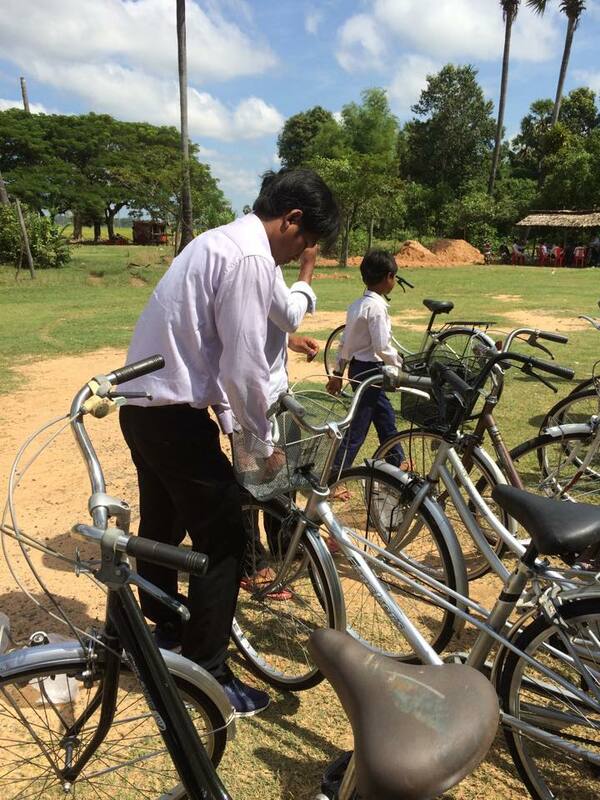 One bike costs $40. 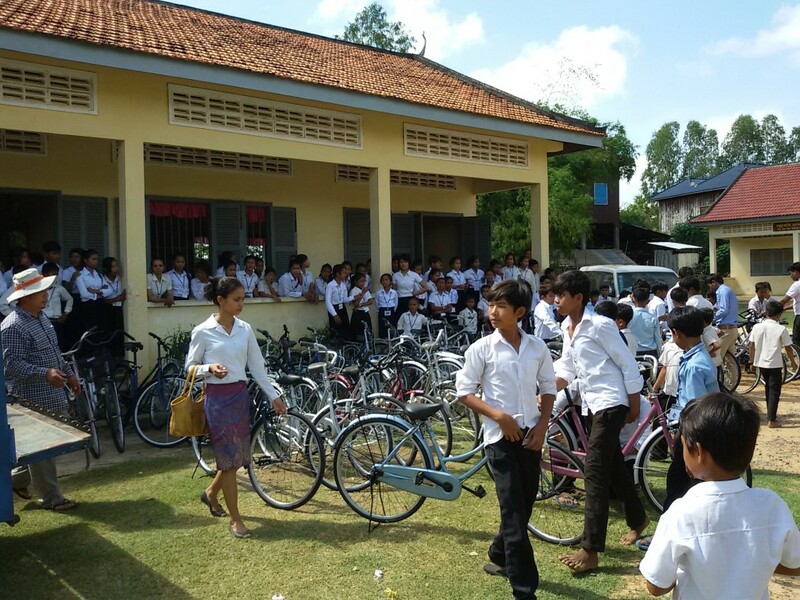 Give a bike as a holiday or commemorative gift and we will send a card to your friend if you email us at cambcambodia@gmail.com with details. The Cambridge Cambodia School Project is part of World Assistance for Cambodia, a 501(c)(3) organization.